Free Use of the Neal Estate Team's Moving Truck! 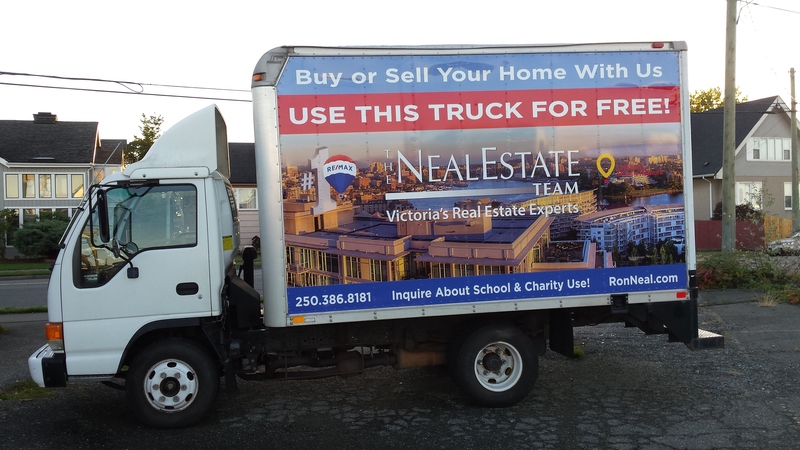 The Neal Estate Team now offers our clients the use of our Moving Truck FREE when buying or selling with us. You can also use it for school and charity use and, hey, even errands long after the deal is done. We consider you, our client, long after you've moved in. As a client you have the opportunity to use our truck for personal errands. We don't mind! Provided, it is available. It is one more way we provide ongoing service to you and say "Thank you for your loyalty and referrals." At The Neal Estate Team, we always appreciate your business. You are responsible for your own damage, moving traffic violations and parking tickets. Inquire about School & Charity Use! Furthermore, in addition to our many other complimentary services, we have now arranged with Target Storage for no-obligation first month FREE Storage for you when you buy and/or sell with us, in addition to our complimentary professional Staging Consultation and many other services. EMAIL or call 250.386.8181 for details!